Carreno BM, Magrini V, Becker-Hapak M, et al. 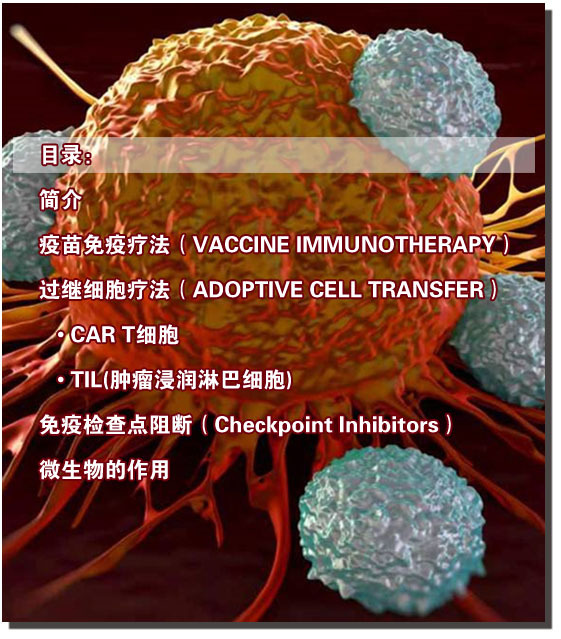 Cancer immunotherapy. A dendritic cell vaccine increases the breadth and diversity of melanoma neoantigen-specif c T cells. Science. 2015;348 (6236):803-808. Diken M, Kreiter S, Kloke B, et al. Current developments in actively personalized cancer vaccination with a focus on RNA as the drug format. Prog Tumor Res. 2015;42:44-54. Sharma P, Allison JP. Immune checkpoint targeting in cancer therapy: toward combination strategies with curative potential. Cell. 2015;161(2):205-214. Morrison C. CAR-T f eld booms as next-generation platforms attract big players. Nat Biotechnol. 2015(6);33:571-572. Kalos M, Levine BL, Porter DL, et al. T cells with chimeric antigen receptors have potent anti-tumor effects and can establish memory in patients with advanced leukemia. Sci Transl Med. 2011;3(95):95ra73. Rosenberg SA, Restifo NP. 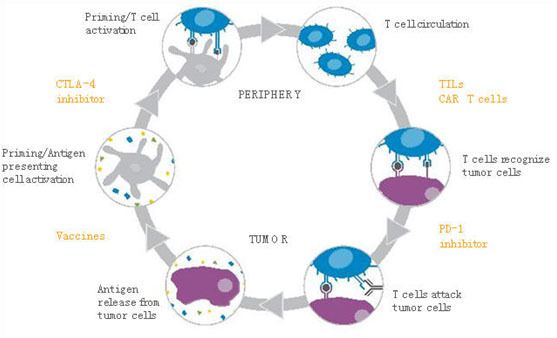 Adoptive cell transfer as personalized immunotherapy for human cancer. Science. 2015;348(6230):62-68. Sivan A, Corrales L, Hubert N, et al. Commensal Bi?dobacterium promotes anti-tumor immunity and facilitates anti-PD-L1 eff cacy.? Science. 2015;350(6264):1084-1089.